GN Solids Control only focus on top quality products, and offer with reasonable price. Since GN Solids Control company select the best quality material, and use the best machine to manufacture the solids control equipment, our market position is the best quality and reason price for China top market and international market, a little higher price than average price of our China competitors. In Australia and New Zeland, GN Solids Control company is the only one China competitor for Local company and USA Europe company. GN Solids Control partnered with a Germany drilling rig manufacturer TT Asia, to take care of our solids control equipment business in Australia. 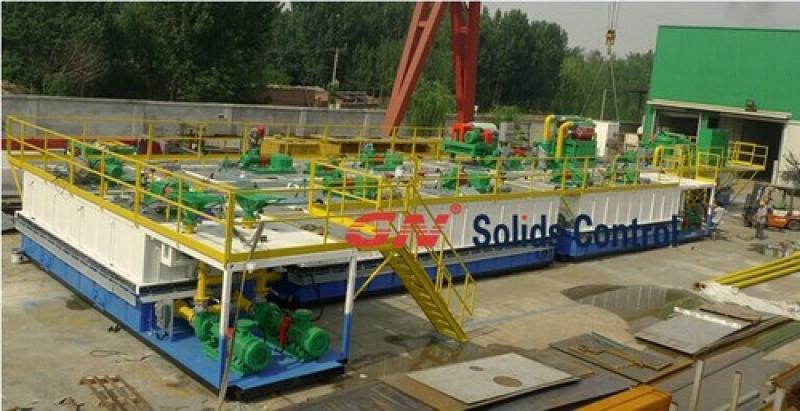 Recently We have 2 Solid Control system building for SJ Petroleum export rig, and we have 2 Solids Control Systems for RG petroleum, and we have an order from HH (Honghua) for 4 Sets completed solids control equipment for their rigs. GN started developing the Vertical Cuttings Dryer from 2011 and have used the first Generation in 2012, we have already sold around 30 Vertical Cuttings Dryers to China and international market. Other Chinese company just start developing Vertical Cuttings Dryer from 2013, 2 years later than our company. From March 2014, we are selling the 2nd Generation Cuttings Dryer, this is the first cuttings dryer in China and applied in WBM and OBM. Many big oilfield service companies like Halliburton and Baker Huges are discussing with our company to work together for the drilling waste management equipment. GN have good business with big international companies like them.